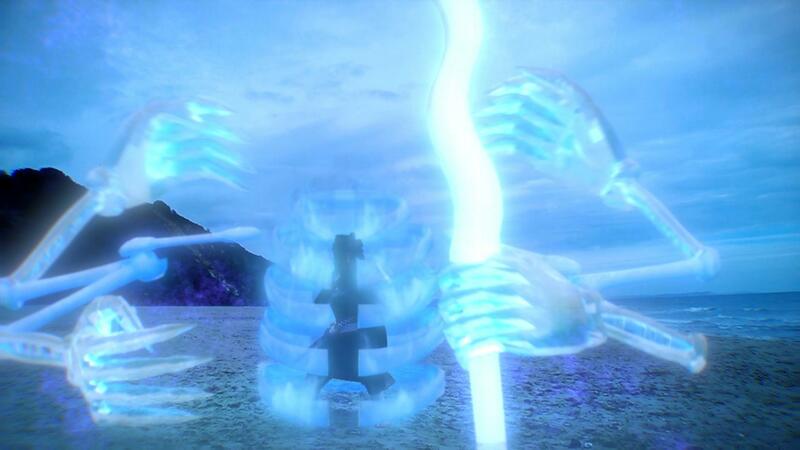 The aim of this project is to create a realistic Susano’o fit for live action. 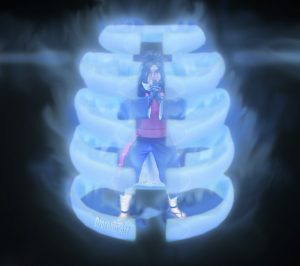 The Susano’o is a special technique used in the anime Naruto which allows the user to summon a skeletal-like structure which surrounds and protects the them from attacks. I used a model of the skeleton offered free online but I had to build a simple rig and animate the structure’s arms. This is not the focus of my project, however. My first tests were not very visually pleasing because I was lacking knowledge of what makes a surface realistic. I had to spend more time in researching realistic rendering. 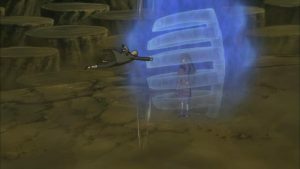 It was when I asked the question of what makes the susano’o and put thought into the materials it’s made of, it started to come together. The newest renders were blending almost seamlessly with the live action background even without GI. It is here that I created the concept of the new iteration in Photoshop which gave me a clue as to where I wanted to go in comp and digital tricks I could apply. Especially the use of material IDs and different channels gave me better control over the integration. 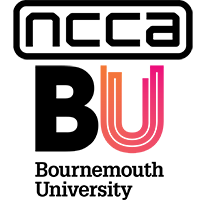 The summoning effects are created entirely with 2D compositing. I guess it has become my personal preference to ‘fake it’ in 2D whenever possible especially for short projects like this one. It literally saves an excruciating amount of R&D time, running test simulations and rendering while I really want to focus more on compositing and achieve something realistic that the fans will like. Plus, this makes it a lot more fun. I also decided to add a neat camera over exposure effect because it makes sense that when the creature is summoned it will make the sensors struggle because it’s such a strong light source. Further research should be carried out in how this effect works in the real world and time it by lighting up a bright source against a camera and recording the footage. 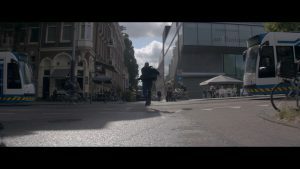 The footage itself was shot a long time ago without proper planning or staging with a mobile phone which explains the low quality and the modern elements everywhere. This was done on purpose in order for me to build up shot cleanup skills. Still, I plan on addressing the background further by entirely extracting the character from the backplate and creating a matte painting which I will likely blend with the original in order to keep the framing. and save me on roto. I am more than pleased with the response to this as fans reacted positively.